The great temple of Abu Simbel is dedicated to Amon-Ra, Re-Har-Achte and Ptah, but in practice it was constructed for the greater glory of it's builder, Ramses II. The second and smaller temple is built to the honour of Nefertari, the wife of Ramses II, also dedicated to the goddess Hathor. 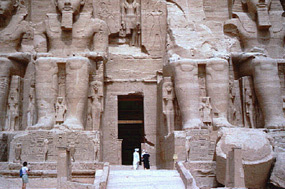 Both temples were salvaged from flooding by Lake Nasser in the sixties. 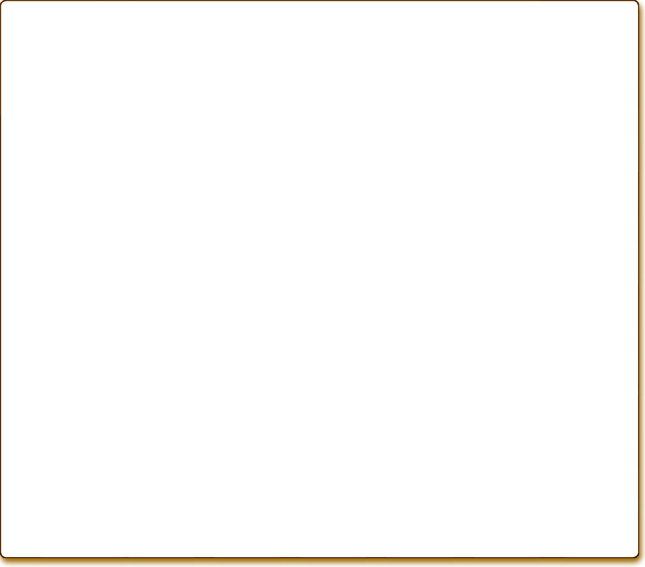 It is here where the "miracle of the sun" takes place. Twice a year, on the 22nd of February and on the 22nd October, early in the morning, the sunrays penetrate the whole temple to bring light into the sanctuary. This temple is located north of the great temple. 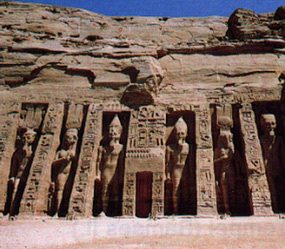 The facade is adorned with six statues, four of them belong to Ramses II and two belong to his wife Nefertari. The main hall contains six columns, bearing the head of Hathor. The reliefs show the fighting king and the married couple offering sacrifices to the gods. In the sanctuary, a beautiful relief depicting the goddess Hathor can be seen. The facade of the temple is 33 metres high and 38 metres wide. 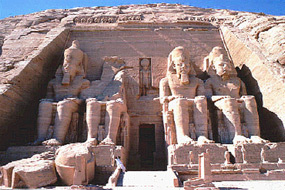 It consists of four colossal statues of the Pharaoh seated on his throne. Each statue is twenty metres high, measures four metres from ear to ear and one metre along the line of the lips. Penetrating into the heart of the mountain one reaches the sanctuary where statues of the gods are built to whom the temple was dedicated.